The right kinds of lifts and exercises will do wonders for wrist and grip strengthening. You'll get stronger and be able to keep working your wrists and hand for a long time to come. 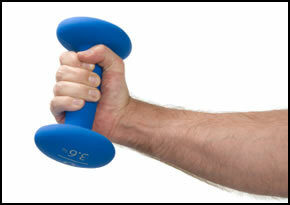 So, here are the exercises to get amazing wrist and grip strength! When you're grip strengthening, you're working on either pinching or crushing things with your hands. This involves hand muscles and some muscles in your forearm. Hand grippers are usually the choice for grip strength. When you do wrist exercise, you're mostly working the muscles of your forearm that flex your wrist. You're also working the tendons and ligaments in your hands that connect to the forearm muscles. So, strong forearm muscles allow your wrist to flex more forcefully and grip to contract harder. So, we're gonna work on them for both kinds of strength. There are two main kinds of wrist exercise, static and mobile. 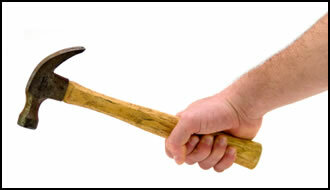 These both contribute to grip strength, since you're contracting your hands tightly. Static exercises work on building wrist support strength, since they don't incorporate movement. They are for when you're trying not to bend your wrist, or wanting to lift something heavy with just your hands. Those activities don't involve wrist movement. Mobile exercises involve movement, moving your wrist when there is a heavy opposing force. Simple, right? These exercises will work both kinds of strength. To avoid becoming strong in just one single area, practice both kinds of exercises. The farmer's walk is one of the most basic grip and wrist exercises. Simply pick up the heaviest pair of dumbbells that you can in the gym, and walk as far as you can with them before setting them down. It sounds easy, but it's much harder than you would think. Walk a longer distance or carry more weight over the coming weeks to increase the difficulty of this exercise. The Deadlift is another great static exercise for training grip strength. Walk up to a weighted barbell on the ground, grab it, and stand up so that you're holding the bar just above knee altitude. Then put it down. When doing this lift, keep your lower back tucked in and keep tension in your body. If you're relaxed you might hurt yourself; keep everything tight! Wrist curls are the most common wrist exercise you'll see people doing in the gym. Hold your forearm horizontal (or lay it on a bench or your thigh), and flex your wrist all the way up and all the way back down while holding a dumbbell. Be sure to do reverse wrist curls as well, with your palm facing downward. That way you'll strengthen both the forward and backward flex. This movement can really burn up your forearms. Go slowly and try to get as much range of movement as you can in each repetition. This is an excellent exercise for your wrist if you're a construction worker or swordsman. It strengthens the base of the forearm, the extensor carpi radialis muscle near the elbow. Just pick up a heavy sledgehammer, weight bar, or something heavy with a long handle and swing it vertically with just your wrist. This is in a different direction from the wrist curl, so it compliments that exercise beautifully, and can make your hammer strikes and sword swings very powerful. This is a weird and fun exercise. If you have a bowling ball that your uncle Jim left you, or just have one sitting in your garage, you're in business! Put your fingers into the bowling ball and, holding it with just the fingers of one hand, flex the ball forward, back, and around in circles. Spend more time flexing your wrist or get a heavier bowling ball when this grip strengthening exercise becomes too easy. Here's all the grip strengthening exercises you need to get strong. Whether you want strong wrists for opening jars or swinging swords, these exercises will help you get there. • Click HERE to leave 'Wrist & Grip Strengthening!' & learn more about hand grip exercise! 1. Kubik, Brooks D. 1998. Dinosaur Training: Lost Secrets of Strength and Development. Louisville, KY: Brooks D. Kubik. Pp. 78.